Oh, I want to play! 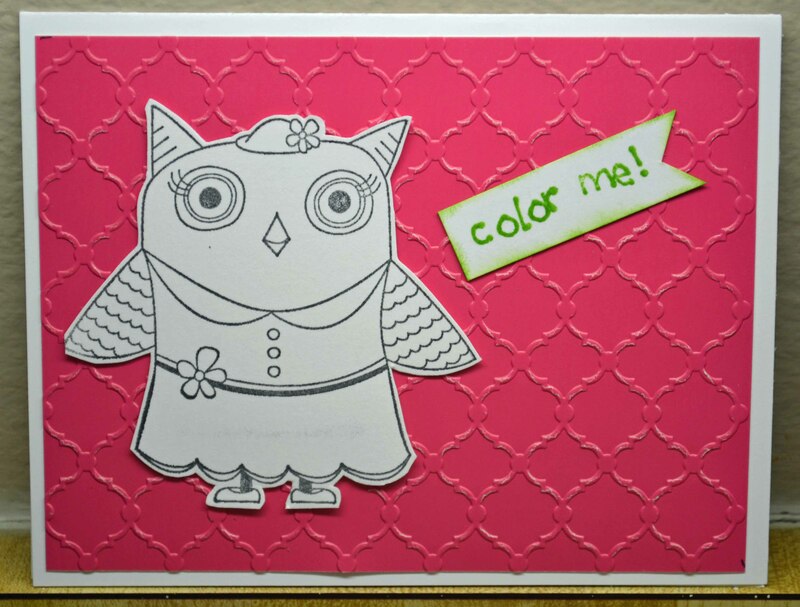 Here’s a fun interactive project for cardmakers from Bazzill Basics. 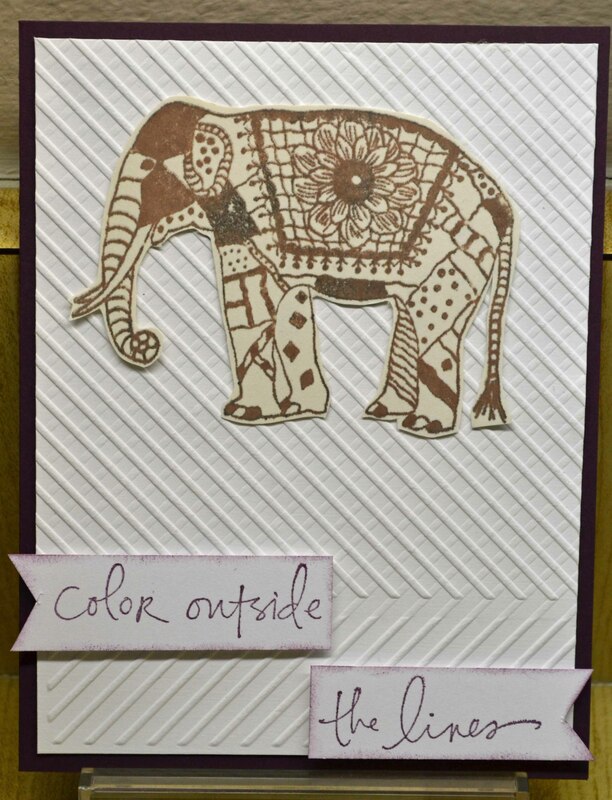 A ginormous swap using BB papers and a special starter kit. 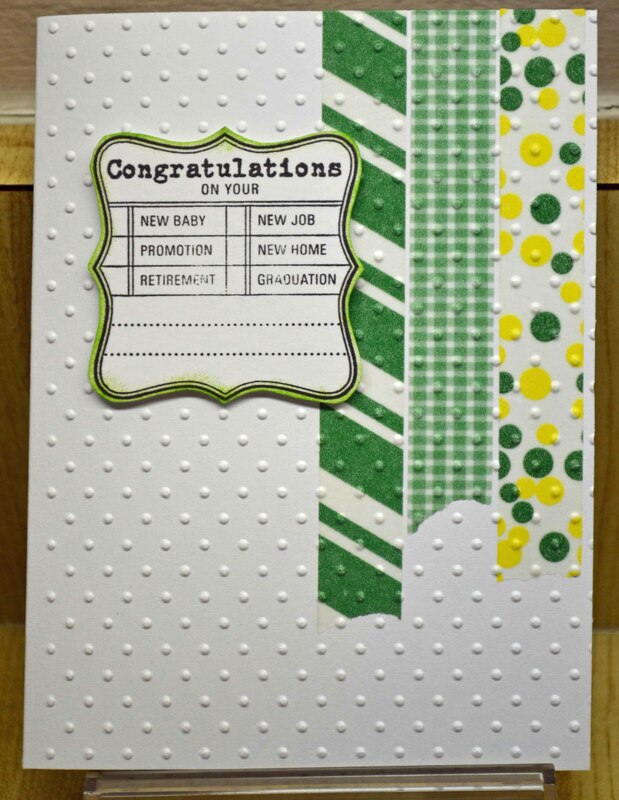 5 sheets of 8.5×11 Bazzill Card Shoppe cardstock for card makers (cut in half to make a total of ten A2 cards). 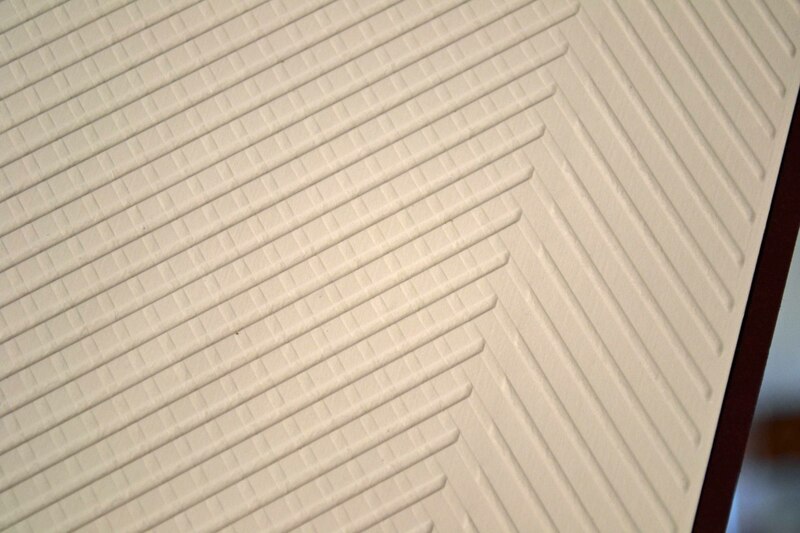 24-sheets of 6×6 patterned paper in a variety of half-scale designs. 2. 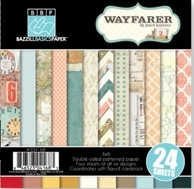 Use the goodies to make ten cards for Bazzill’s Wayfarer Card Swap, going on now. Mail in your creations and get ten other cards from swappers. For more info and to register to play, visit: http://swaps.bazzillbasics.com/ Offer available through July 15, 2012. Patterns and colors may vary. Allow 2 to 3 weeks for shipping. 3. Mail to: Card Swap Starter Kit, Bazzill Basics Paper, 7001 W. Erie St., Ste. 2, Chandler, AZ 85226. U.S. addresses only. Oh, why did I wait so long to send in my $5? I want my papers NOW!!!! Stay tuned for some Fabulous Fun Finds … is it too early to start prepping for Halloween? 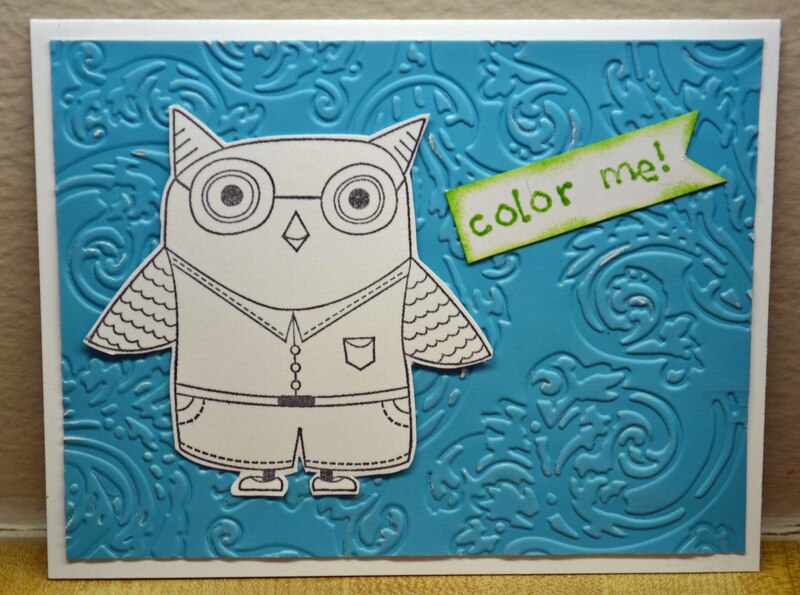 Thanks, everyone, for commenting on the coolness of cardmaking! The paper giveaway winner (chosen by jotting names on paper then having the hubster pick one) is Jane! 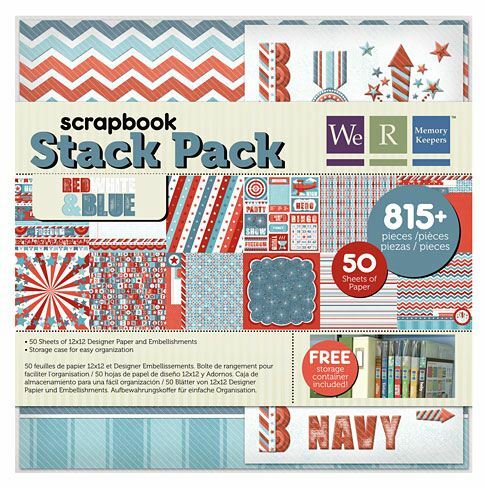 You get this yummy paper stack from We R Memory Keepers, which is soliciting cards to send to troops. Congratulations Jane! I will be contacting you via e-mail for your mailing address. 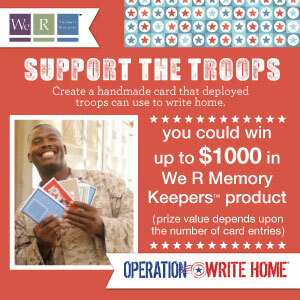 I hope you make some cool cards and submit them to the We R Memory Keeprs contest, and send them on to Operation Write Home. Don’t forget, there are still plenty of prizes at the We R Memory Keepers site. Many of you know about Operation Write Home, an organization that collects cards to send to troops so THEY can write to family and friends back home. I love this group. Contributing is a great way to do something good, be creative and stamp, stamp, stamp. 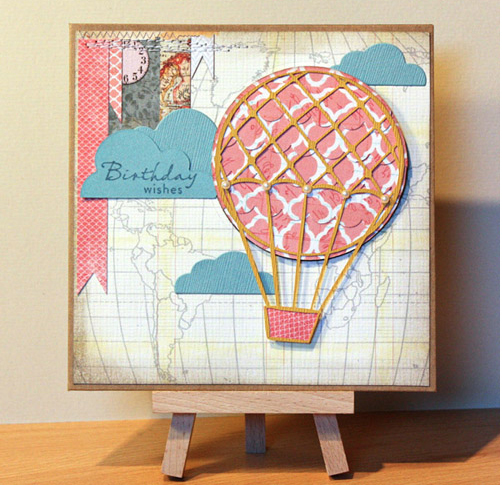 This month the incentive to make cards is even greater because …. 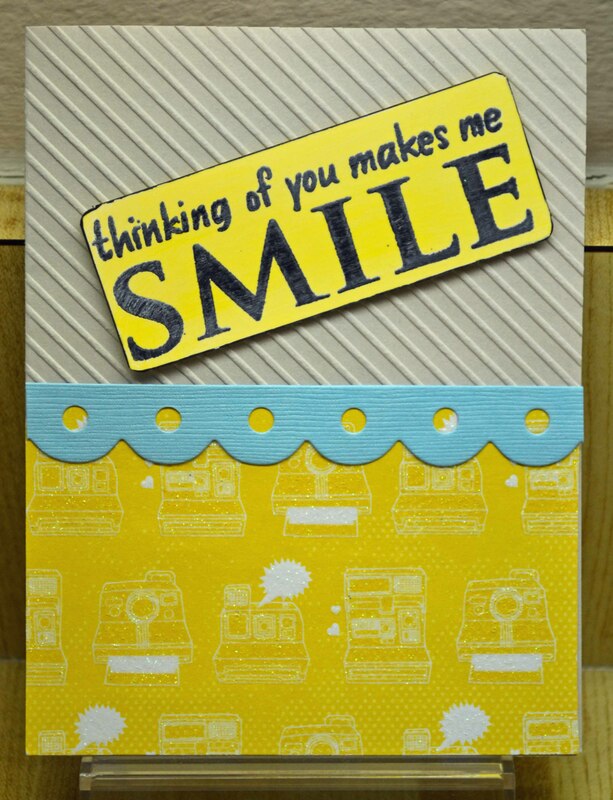 wait for it … We R Memory Keepers™ is trying to collect 50,000 cards to contribute. And there are prizes. The deadline to submit cards for the contest is midnight, Tuesday, July 24, 2012. Did I mention prizes? There are chances to win goodies each week on WRMK’s Facebook page. At the end of the contest, WRMK staff will pick the top 50 cards to be voted on by the company’s Facebook fans. Do visit the Operation Write Home™ site (www.operationwritehome.org) to see the card making guidelines — there are some restrictions on what you can send. So… who wants to play? To get you started, We Are Memory Keepers is giving away a “Stack Pack” to one of my blog readers. Leave a comment by the end of Father’s Day (appropriate, yes? It’s June 17, midnight). Tell me why making cards for others is a great idea! I’m going to make some cards soon, and I’ll be sharing. 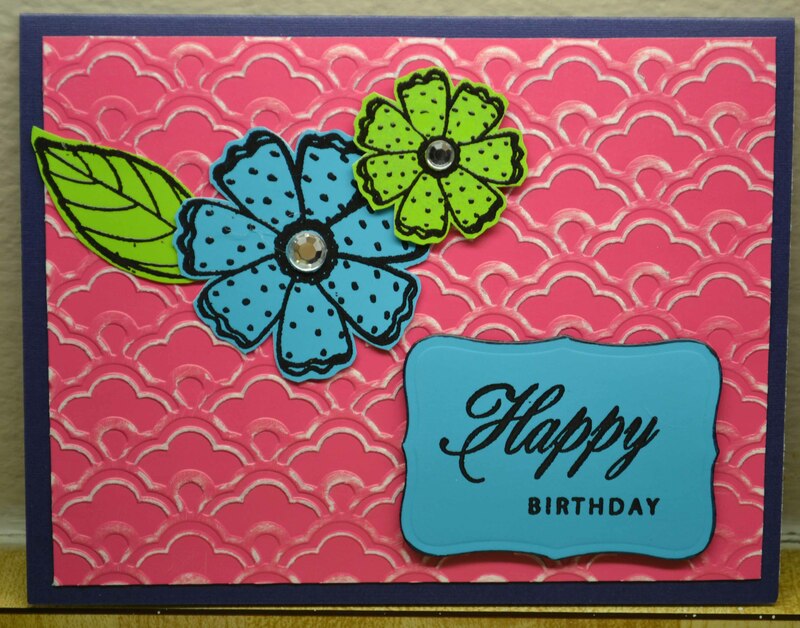 Thanks for stopping by … and happy card making! There are several factors that set the mood for a card. Image, design and… maybe most importantly … color. Bright colors seem festive while darker colors can denote different scenes and moods. 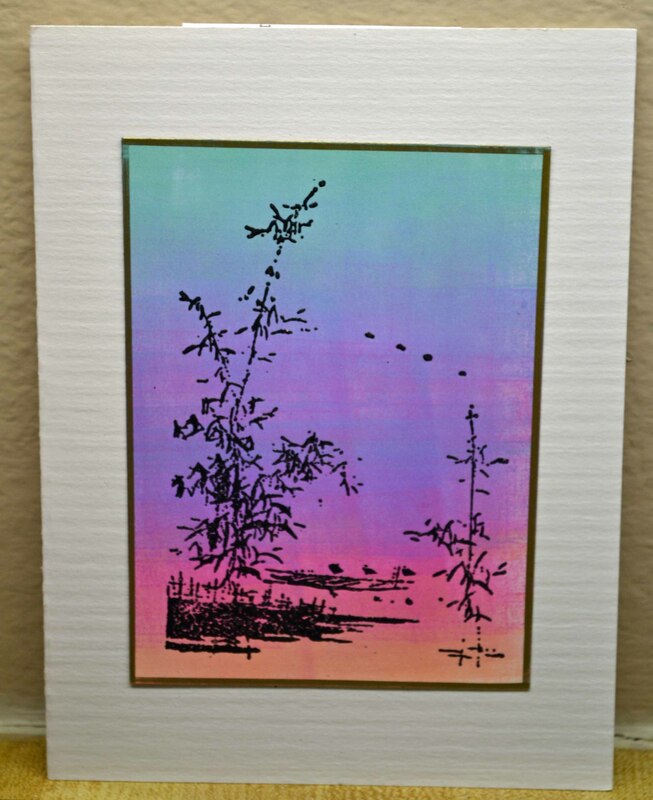 Often, when I’m playing with an image, I will stamp it over and over, trying various colors, embossing powders, papers, etc. I’m a serial stamper! The good news is, I often have a stash of cards made at one sitting. Perfect for giving as a gift set. Today I want to show a series of cards I made using only color to change the look — and mood — of a card. 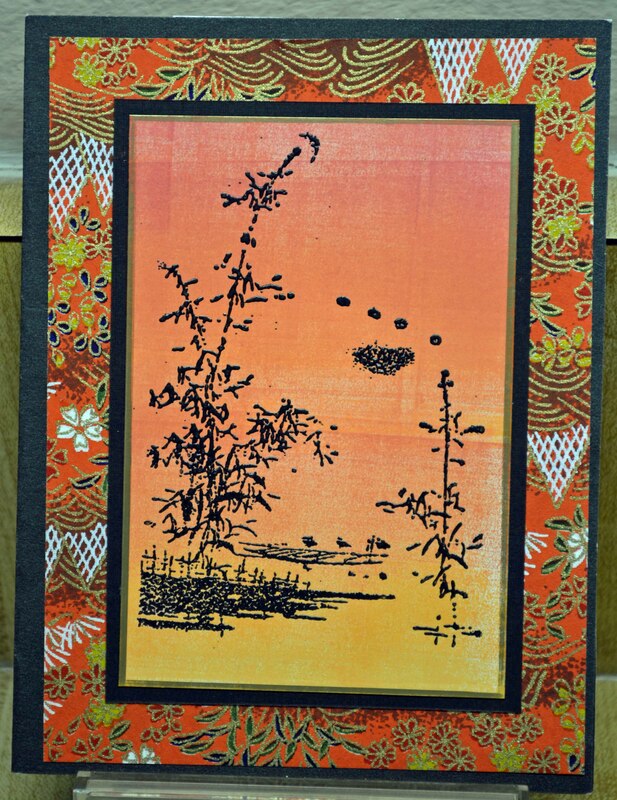 My apologies for using an image (Bamboo Lake) from Kodomo, a company that is no longer around. Sad sigh. I loved their images. But there are several similar Asian images around. 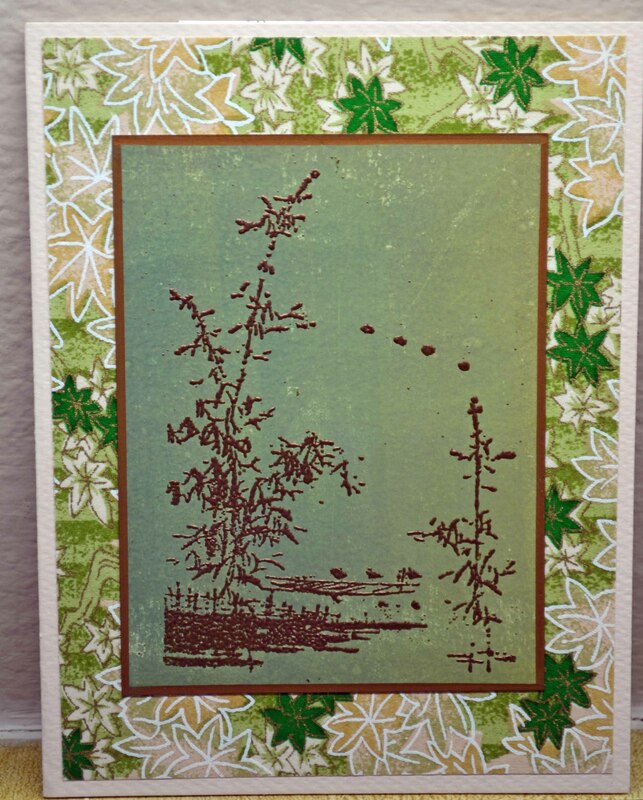 The background on this (and most of these) was brayered on glossy cardstock using Kaleidacolor Autumn rainbow inkpad. I have had my Kaleidacolor (Tsukineko) pads forever and love them because the colors are separated. To use, you simply push the little tab in and the colors come together. My Kaleidacolor pads must be at least 10 years old! 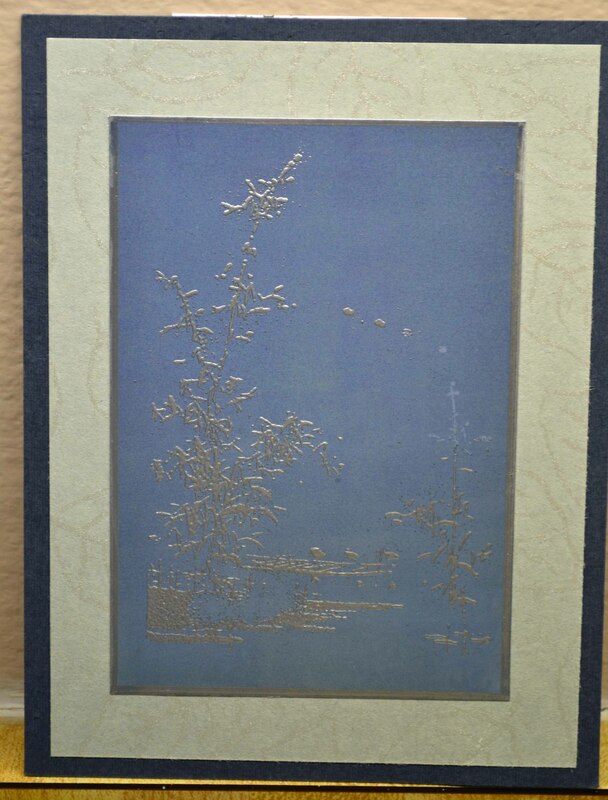 The image is black embossed. The pretty pastel pad changes the look — and placing the panel on a white card keeps it crisp. Mixing it up a bit, I brayered Ranger’s Adirondack Mountain Lake (another pad I’ve had for ages!). Did you notice that the color lines run vertical on this one?) 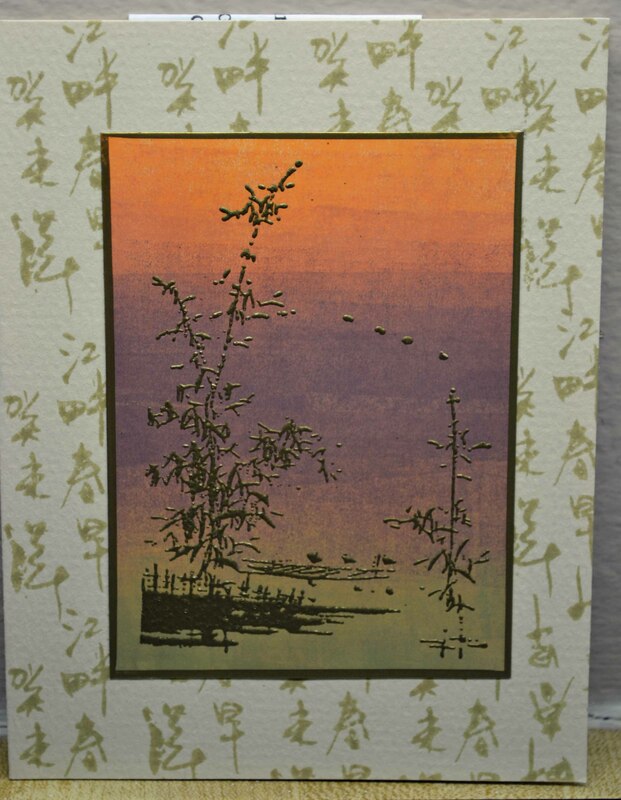 Bamboo lake is embossed in copper powder. 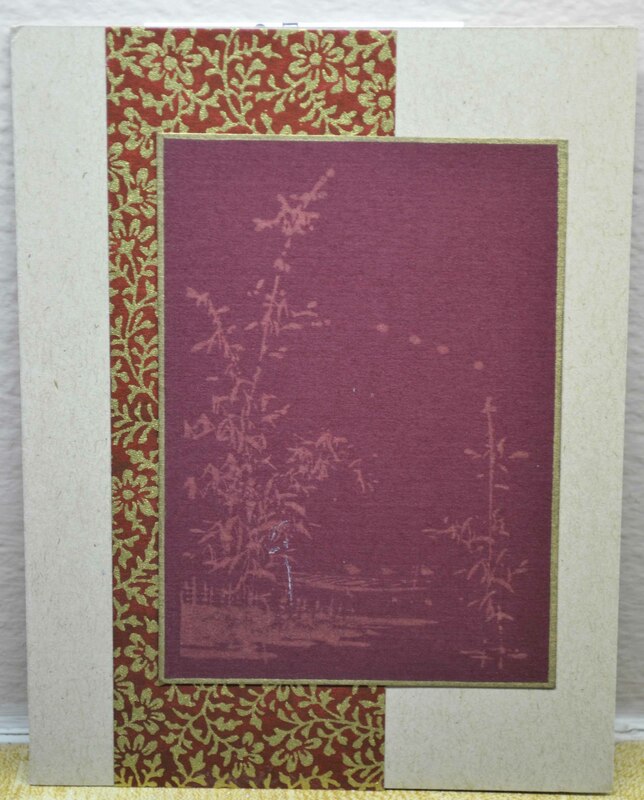 This one photographed darker than it really is… you can’t really see the subtle silver in the background paper or clearly see the silver embossed scene. The ink is Adirondack Winter Sky. I love embossing in white on dark backgrounds! I used Adirondack Mountain Lake again. 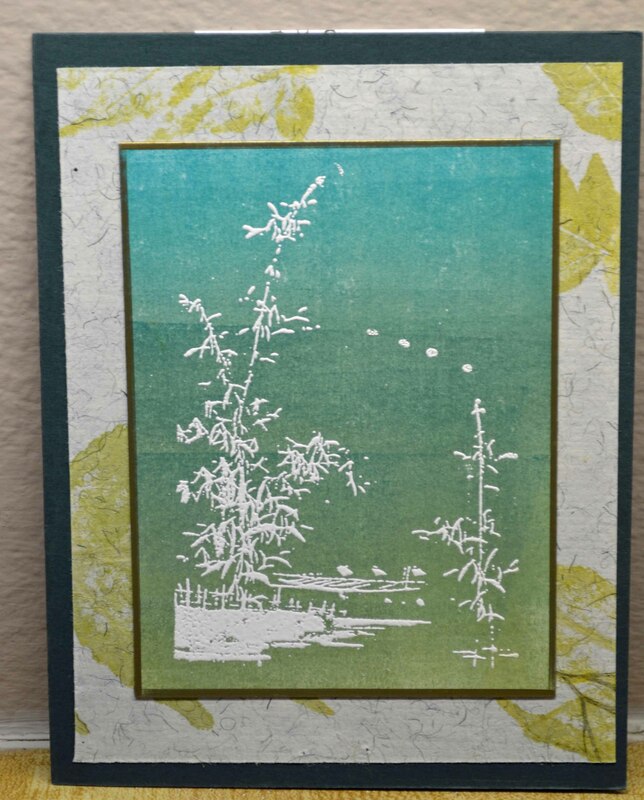 This last entry is called “Ghost Lake” because the image was stamped on colored cardstock using Jacquard’s Castaway pad. This is not really an ink, but a color remover — sort of like bleach but without the stink and much easier to use!